Another change that I am witnessing firsthand as I get older is that “back to school” is turning into “off to college”. Yikes. While packing up bedrooms and piling into vehicles and shopping for dorm decor may seem like a wondrous adventure to the freshman undergrad, it’s a whole different story for those of us who are left behind. One thing that is a key part of being a parent is trusting your kids. I have learned little by little that in order for my children to grow, I have to let them. That means trusting in them on bigger and bigger things all the time. At one point, it was a big deal to pick out their own clothes, and now they want to be left home alone for hours on end (we aren’t quite there yet). They want to cook their own food, decorate their bedrooms, have a cell phone, hang out at the mall with friends…it’s all a nightmare for parents. If you know you can trust your kids, though, it isn’t so bad. As the parent, we have to use our judgement to decide what they are ready for and give them the opportunity to earn our trust. If we do it just right, or at least close to right, they’ll build on the past and become more trustworthy in the future. The timeline from picking out their own outfits to walking to school with siblings to dating and driving to college is going much more quickly than I’d like, but I can see how each of my children has grown and become not just trustworthy but honest, caring and generous. Trust is something that many say has to be earned. No one knows that more than a parent trying to teach a child how to be trusted. This is a virtue that is priceless in life, both personally and in business. Trust is a major reason that HG Logistics is successful. HG employees will work to earn the trust of a customer, a truck driver and a coworker equally. We understand the gears that make our company run smoothly and we trust one another to do our jobs well. We use carriers that have proven their trustworthiness and we trust in our customers to see that we do what we do quite well and to believe in us. Being a part of any family, team, organization or group hinges upon trust. All we have is our word. Is your word worth its weight? Is your logistics provider lying to you? While this is something of an epidemic with freight providers, it is not the way HG Logistics operates. That is why I am proud to be a part of the team. If you want honest, trustworthy freight solutions, contact us anytime! 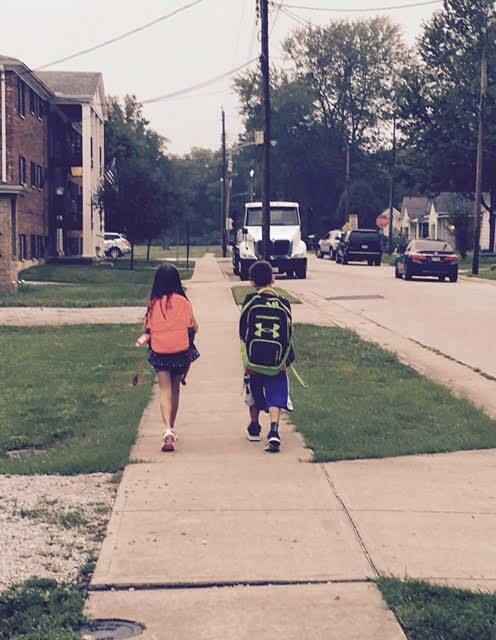 Be safe this back to school season, and watch for children walking to and from school!